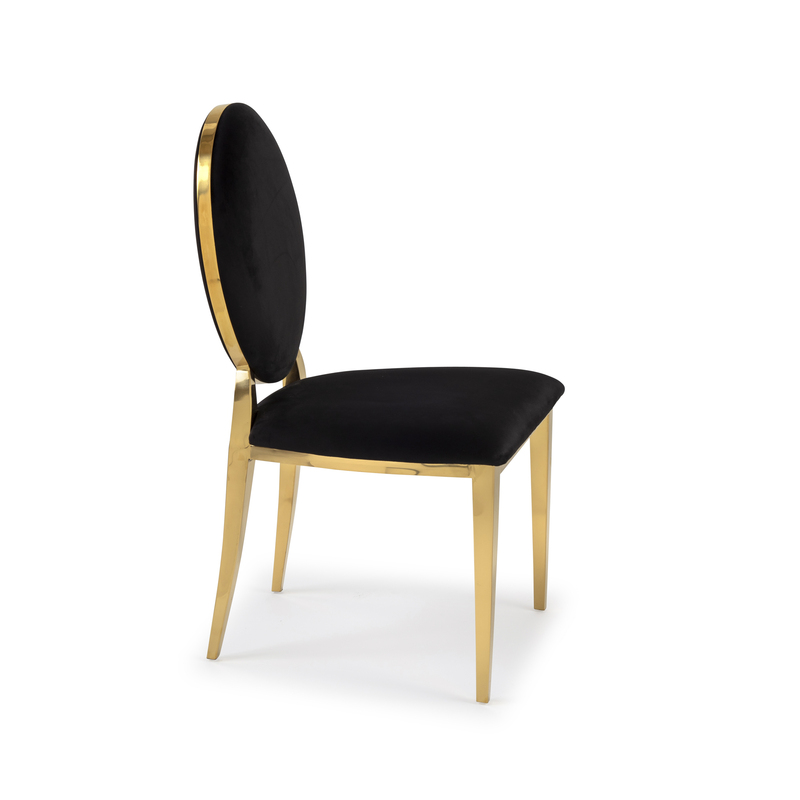 This stunning gold Louis dining chair would make a big impression in anyone's kitchen or dining room especially when paired with our gold Louis dining tables. 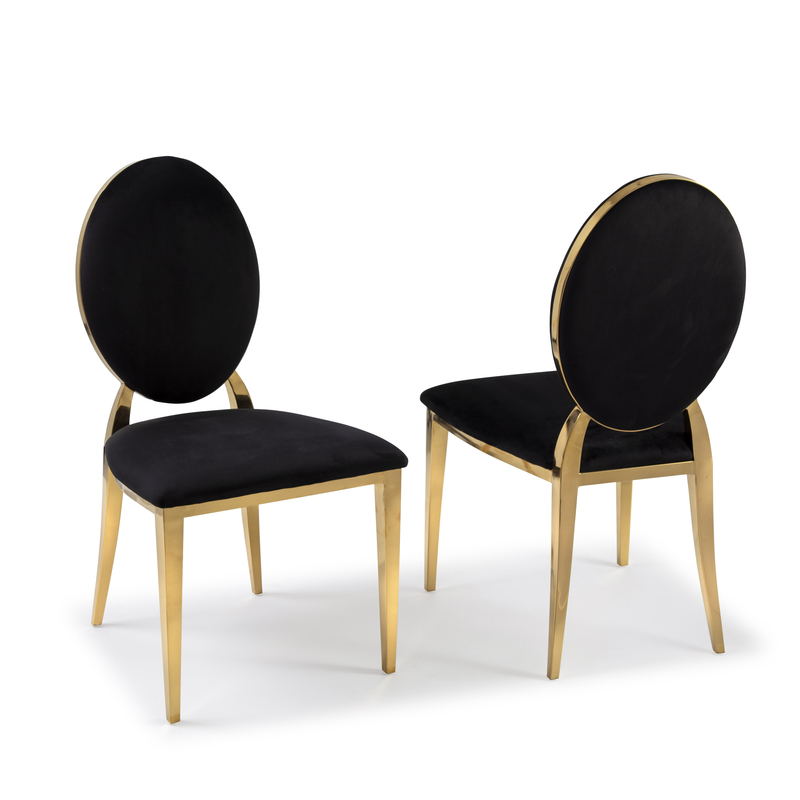 The upholstery is black brushed velvet. 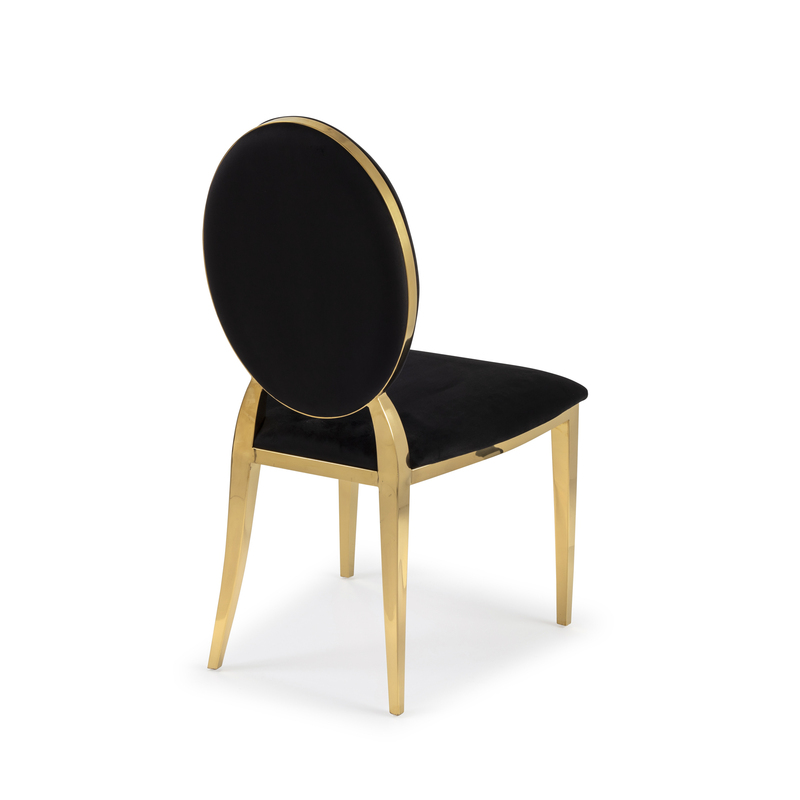 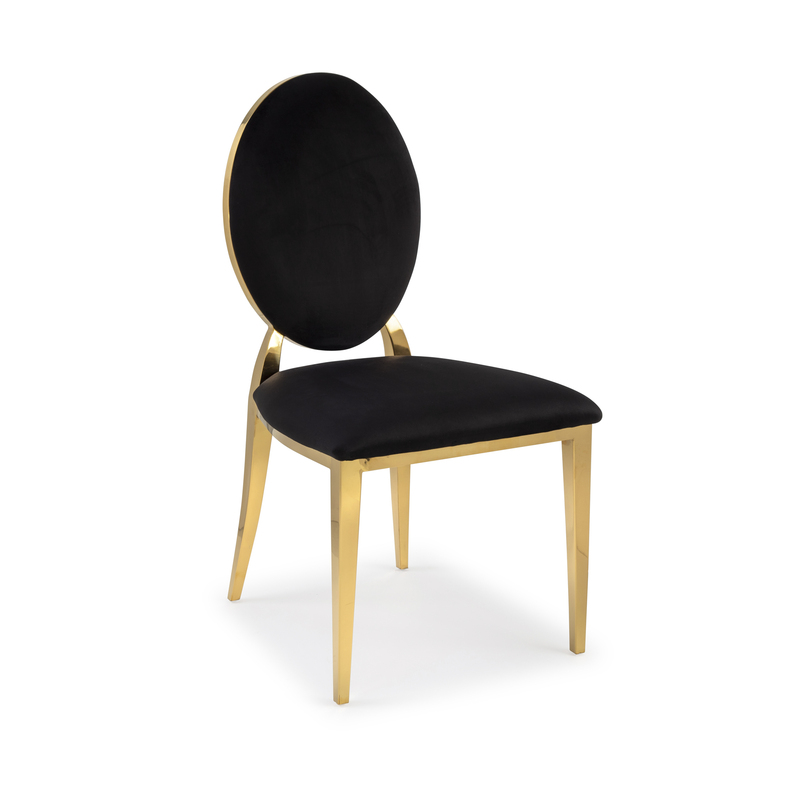 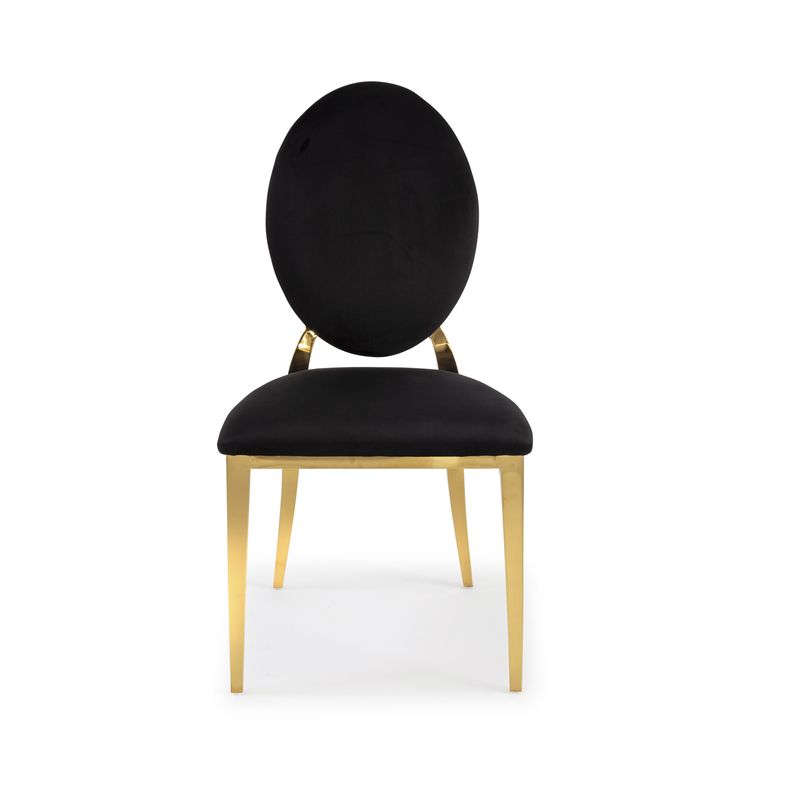 The Louis dining chair will be delivered in one piece, no assembly required. 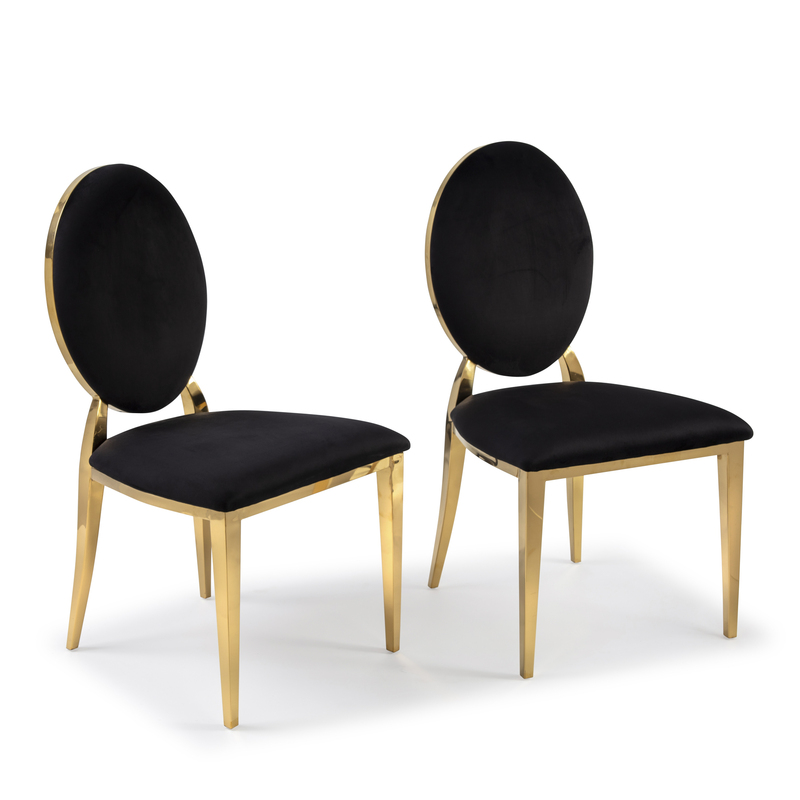 Please note: This listing is for a pair of dining chairs.